Artisanal beauty and charm! 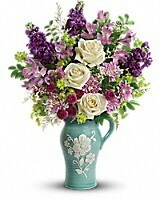 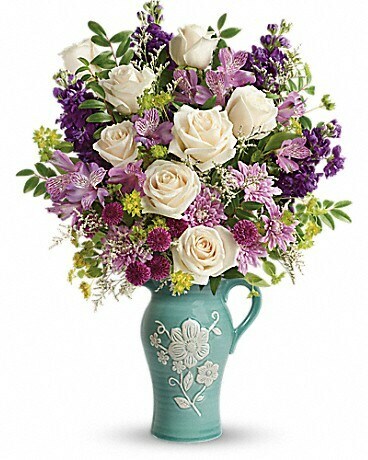 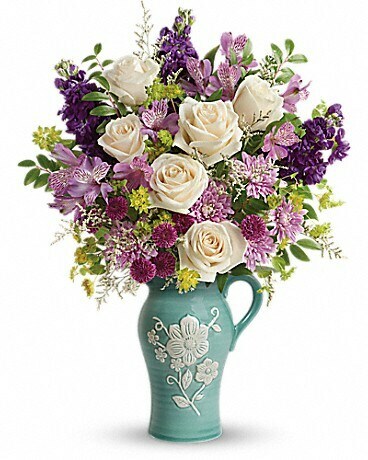 Make Mother's Day one to remember with this 2-in-1 gift for mom - a stunning, softly hued bouquet of roses, alstroemeria and stock presented in a food-safe stoneware pitcher. 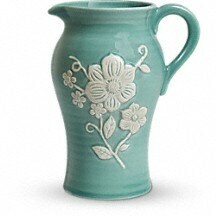 Featuring hand-painted and embossed details, the artisanal keepsake is both pretty and practical!